Home » Harold II. Last Anglo-Saxon king of England. 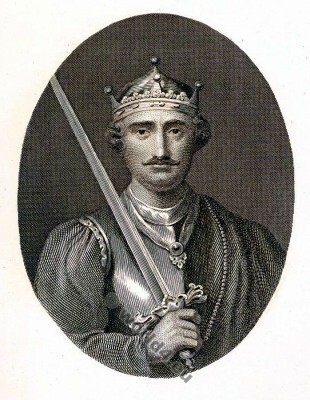 King Harold II (1020 -1066). Last Anglo-Saxon king of England. Killed at the Battle of Hastings. William the Conqueror (Guillaume le Conquérant) 1027/28-1087, was from 1035 as Wilhelm II Duke of Normandy and ruled from 1066 as William I. the Kingdom England. 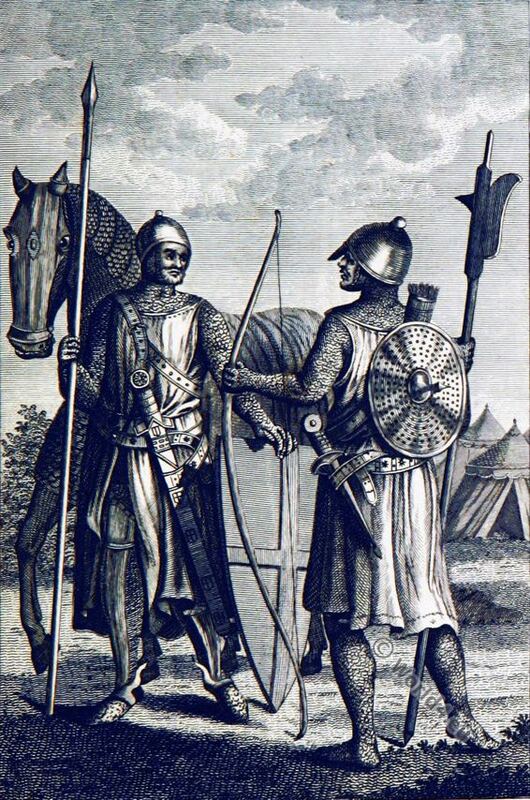 The Romanized Norman was the last ruler who could Britain conquer from the outside. A hundred and sixteen years after the death of Alfred England was completely subject to the dominion of the Danes. 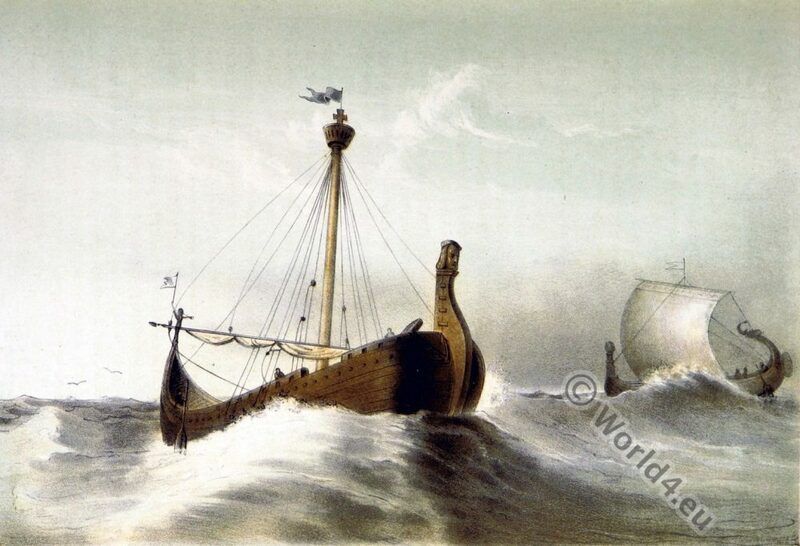 What Sweyn, who came with fire and sword, had failed to effect, his son Canute accomplished, and by his marriage with Emma, the widow of Ethelred and sister of Duke Richard of Normandy, doubtless prepared the way for that later conquest which placed William upon the throne. 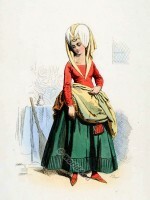 The Danes who had settled in England had become a changed people. They had long ceased to burn farms, sack convents, torture monks for gold, and slay every human being they met with for sheer delight in bloodshed. 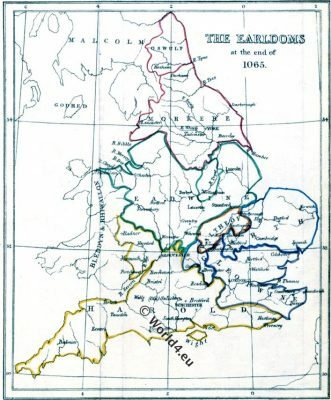 Gradually they had settled down on the land, intermarried with the Angles and Saxons, and colonized all England north and east of Watling Street (a rough line from London to Chester), and the eastern Lowlands of Scotland likewise. They had their own priests and bishops, and built their own minsters. The convents which the fathers had destroyed, the grandsons rebuilt; and often, casting away sword and axe, they entered them as monks themselves; and Peterborough, Ely, and above all Crowland, destroyed by them in Alfred’s time with a horrible destruction, had become their holy places, where they decked the altars with gold and jewels, with silks from the far east, and furs from the far north. For a while they had been lords of all England. The Anglo-Saxon race was wearing out. The men of Wessex, priest-ridden and enslaved by their own aristocracy, quailed before the free Norsemen, among; whom was not a single serf. Vain, incapable, profligate kings, the tools of such prelates as Odo and Dunstan, were no match for such wild heroes as Thorkill the Tall, Olaf Trygvasson, or Swend Forkbeard. The Danes had gradually colonized a great part of Wessex. Large sums of danegelt were every year sent out to buy off the fresh invasions which were continually threatened. weyn was soon ready to avenge this crime. The next year a mighty fleet bore down upon our coasts with a great army of Vikings, and after thirteen fearful campaigns came the great battle of Assingdown, in Essex, where “Canute had the victory, and all the English nation fought against him, and all the nobility of the English race was there destroyed.” For the next twenty-five years Danish kings ruled from the Forth to the Land’s End. Though the early part of Canute’s career was marked by the rapacity and bloodshed which was characteristic of the northern invaders, he lived to institute a milder and more beneficent rule, and under his strong hand England enjoyed a period of comparative happiness. King Canute listening to the monks of Ely, Cambridgeshire. 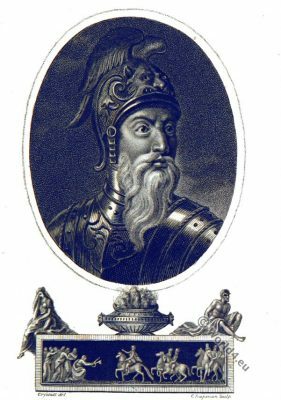 Cnut the Great (Danish: Knud the Store, English Canute the Great; about 995- 1035) was ruler of a Nordic empire in the 11th century, included the UK, Denmark, Norway and southern Sweden. 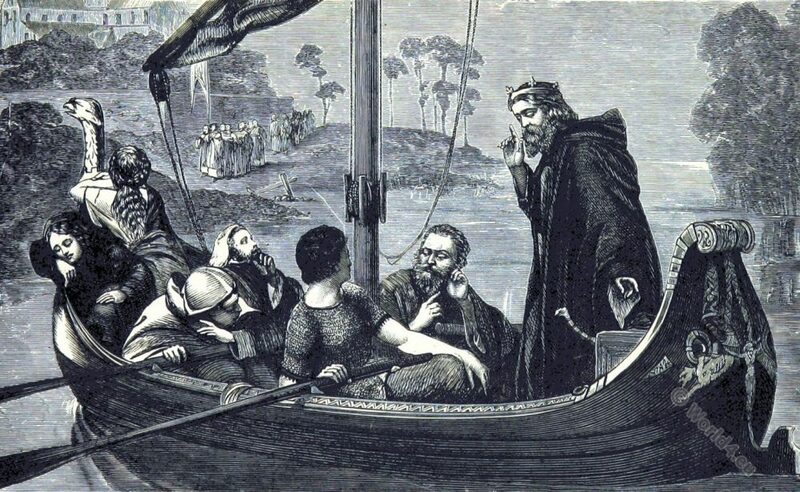 Around the history of Canute has gathered the kind of interest which survives in such records as live among the people—and every child has heard of his rebuking the flattery of his housecarles by setting his chair upon the shore and suffering the waves to rise up to his feet, after which,in token of humility, he placed his golden crown upon the high altar at Winchester, and refused to wear it more. At his death Wessex passed into the hands of the furious Earl Godwin, who had married the king’s sister, and was at that time the ablest and most eloquent man in England. 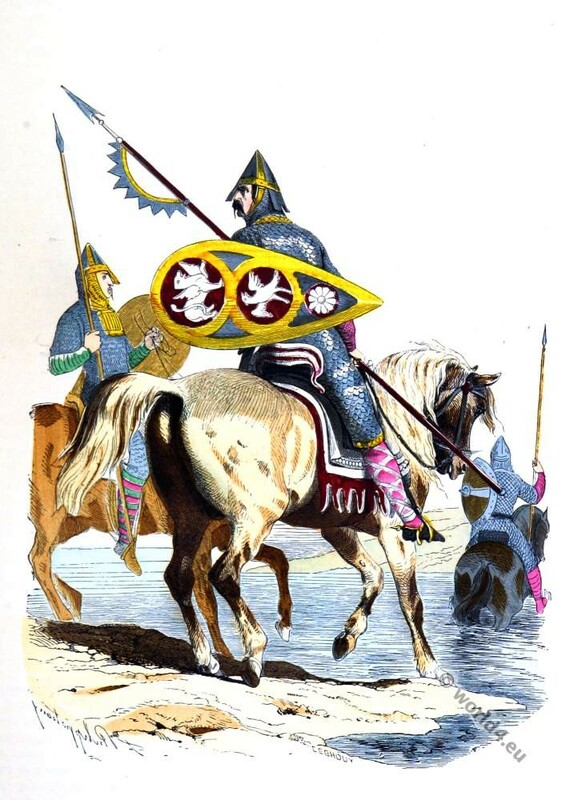 He, though married to a Danish princess, and acknowledging his Danish connection by the Norse names which were borne by his three most famous sons, Harold, Sweyn, and Tostig, constituted himself the champion of the men of Wessex and the house of Cerdic. He had murdered, or at least caused to be murdered horribly, Alfred the Etheling, King Ethelred’s son and heir-apparent, when it seemed his interest to support the claims of Hardicanute against Harefoot; he afterwards found little difficulty in persuading his victim’s younger brother to come to England, and become at once his king, his son-in-law, and his puppet (Kingsley). Edward the Confessor was an Englishman only in name. 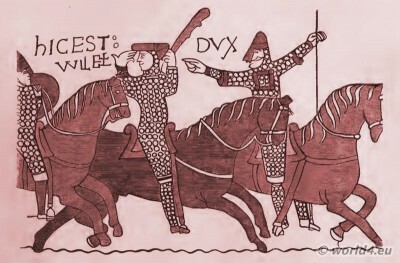 His mother was the aunt of William the Conqueror, he was educated on the Continent, and his court was filled with Norman knights and clerks- Norman French was fashionable language – Norman customs the signs of civilization. Everything was preparing for the conquest which took place within a year after his death. 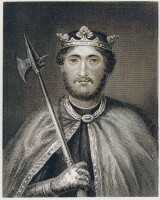 Godwin was the great opponent of the Norman influence and the chief of the Saxon party, so that at his death his eldest son Harold, who resembled him in talent and address, became the representative of the English or national interests, and at the death of Godwin became, as it were, the competitor with William of Normandy for the English crown. They were not ill-matched; both were famous generals, noted for their bravery and for their unscrupulous boldness in achieving their ends. While it is believed that the weak and fanatic Edward had, in accordance with his Norman tastes, promised the crown to William, the power and influence of Godwin, and afterwards of Harold, had reduced the Norman authority about the court, while the people, hearing that Edward intended to make a pilgrimage to Rome, demanded that he should appoint his successor, and turned their thoughts to the young Prince Edward, the son of his half-brother, that Edmund Ironside, whose character and heroic deeds against the Danes were regarded as only inferior to those of the Great Alfred himself. Prince Edward dwelt with Henry III., emperor of Germany, whose daughter he had married, and at the strong desire of the Saxon Witan, the king sent for him to England, but on his arrival neglected to admit him to his presence, a circumstance which was strange enough to provoke universal comment, and lent additional rancour to the popular feeling when, after a short time, the prince died in London,and was buried in St. Paul’s. 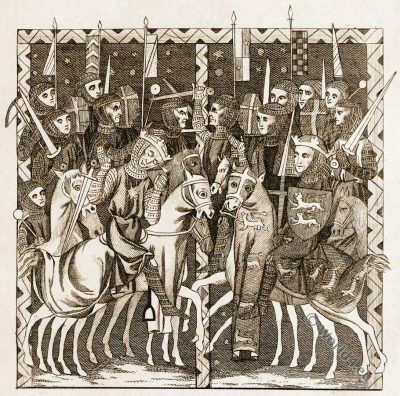 Whether he died a natural death or was the victim of the ambition of Harold or of William of Normandy cannot be certainly determined, but at any rate no proof of foul play was ever forthcoming, and though his death took Harold a step nearer to the throne, it would be unjust to accuse him of so heinous a crime. It is remarkable that at this time Harold should have gone to Normandy, and the reason of his journey is altogether uncertain. Indeed, some historians declare that his journey thither was accidental, and that while he was out at sea in a fishing boat during an excursion from his manor of Bosham, at Sussex, he and his few attendants were driven by a storm upon the opposite coast, where his vessel was wrecked or stranded near the mouth of the river Somme, in the territory of Guy, count of Ponthieu. 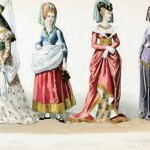 At any rate Harold and his followers when they landed in France were made prisoners by this nobleman, and shut up in the castle of Belram, now Beaurain, near Montreuil, and were not released until Duke William, to whom they applied, purchased their liberty by a large sum of money and the gift of an estate to their captor. This conversation would seem to confirm the belief that Harold had made the journey to Normandy to release his brother Wulnot and his nephew Haco, both of whom had been committed by Edward to the custody of Duke William as hostages for the Godwin family. At all events, this proposition added another difficulty. By refusing to consent to the demands of the duke, not only himself but both his relatives would be in imminent danger. He promised everything under circumstances which most men of that time, and probably William himself, would have regarded as sufficient reason for breaking faith. It was a suspicion of this which led the wily Norman to summon a grand council of his barons and headmen to witness a more solemn form of pledge. 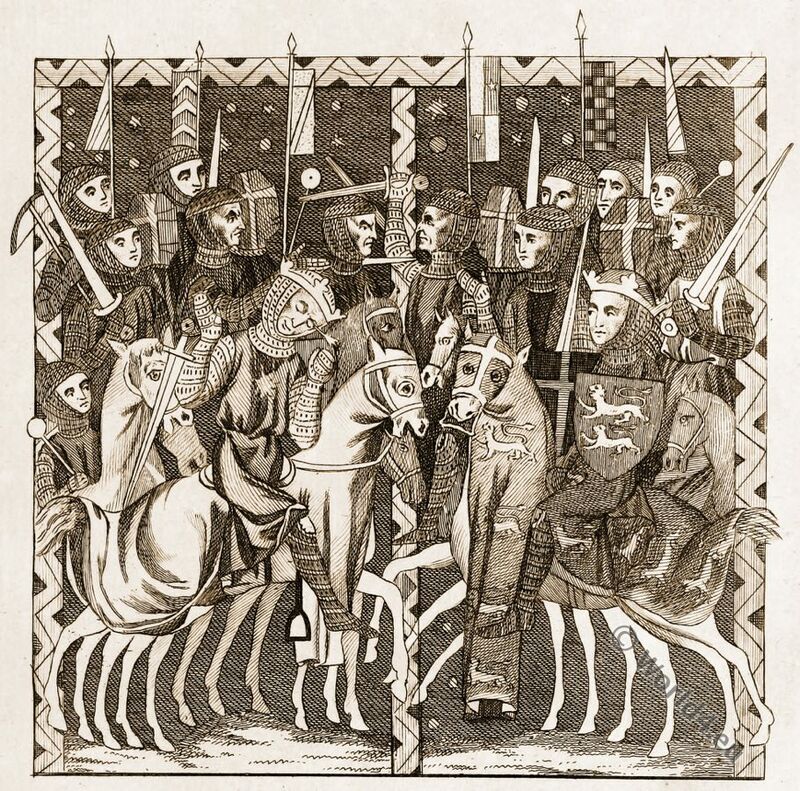 It is uncertain whether this meeting took place at Avranches or Bayeux; but in the hall of assembly at one of these towns sat William in his chair of state, wearing a golden crown, holding a jewelled sword, and surrounded by his chiefs. Before him stood a kind of table or altar covered with cloth of gold, and upon this was placed the missal on which Harold was to swear. 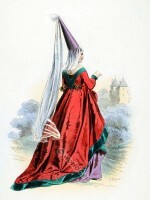 “Earl Harold,” said William rising, “I require you, before this noble assembly, to confirm by oath the promises you have made me, to wit, to assist me in obtaining the crown of England after King Edward’s death, to marry my daughter Adele, and to send me your sister that I may give her in marriage to one of mine.” It was a crafty trick, but a deeper one than it appeared at first sight. Even an oath taken on the Gospels might, in that age and between such men, have been held doubtful as to its binding power, but the duke was too well aware of this fact to trust to a vow so made. Harold perturbed, knowing that he was taken by surprise, and unable to refuse, placed his hand upon the book and took the required oaths, when, at a signal, the cloth of gold was removed, and beneath it was discovered a cask filled with the bones and relics of saints which had been brought from all the surrounding monasteries to give an awful efficacy to the enforced promise. The Saxon, to whom such relics were of peculiar sanctity, this would have been terrible enough to justify the assertion of the Norman chronicler that Harold trembled at the sight. He was at once suffered to depart, but not before William had made him rich and valuable presents, and had restored Haco to be the companion of his uncle to England, while Wulnot was still retained as a hostage. William the Conquerer c. 1028–1087. First Norman King of England. William I 1066-1087. If the conditions in which he had been placed made it necessary for him to forswear his claim to the crown, those in which he found himself on his return rendered it almost as difficult for him to refuse it. His brother Tostig had so misruled the Northumbrians that they rose against him, and elected Morcar, one of the sons of the Earl Algar, the ancient enemy of the house of Godwin, and Harold himself was unable to bring about a reconciliation. Fragments de la Tapisserie de Bayeux. Le serment D’Harold. Harold Roi. Funerailles d’Édouard le Confesseur. 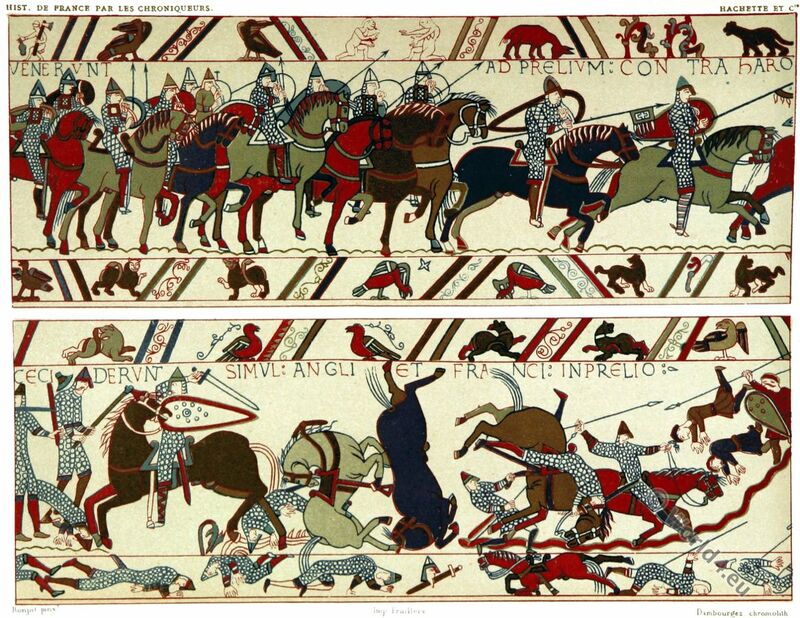 Fragments of the Bayeux Tapestry. Harald II (* 1022 – 1066; born as Harold Godwinson) was the last Anglo-Saxon king before the conquest of England by the Normans. Edward the Confessor (around 1004 – 1066) was from 1042 to 1066 the penultimate Anglo-Saxon king of England. He is revered as a saint. Fragments de la Tapisserie de Bayeux. Bataille d’Hastings. 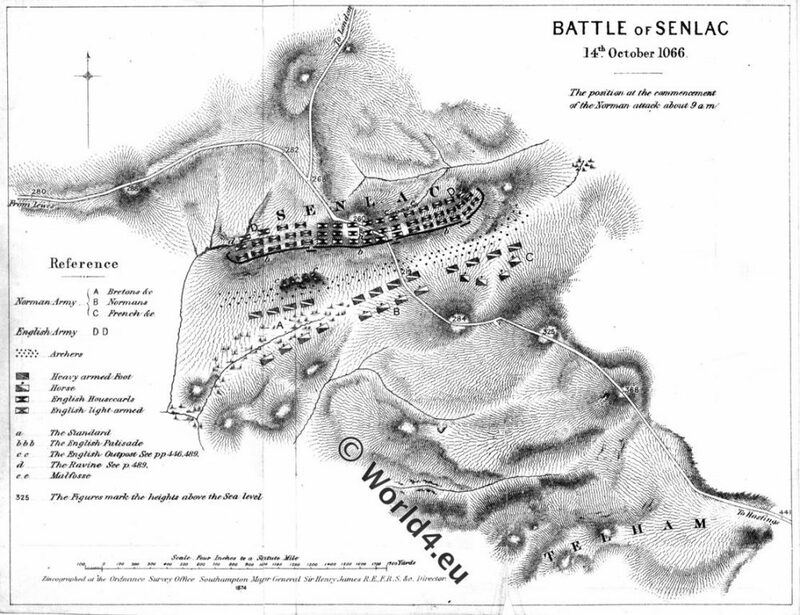 The Battle of Hastings, October 14, 1066. Tostig fled to Bruges, where, in revenge for what he considered to be unjust abandonment of his cause, he gave his support to William of Normandy. Edward was dying, and it was necessary for him to appoint his successor. Whether he really named William or Harold is not known. 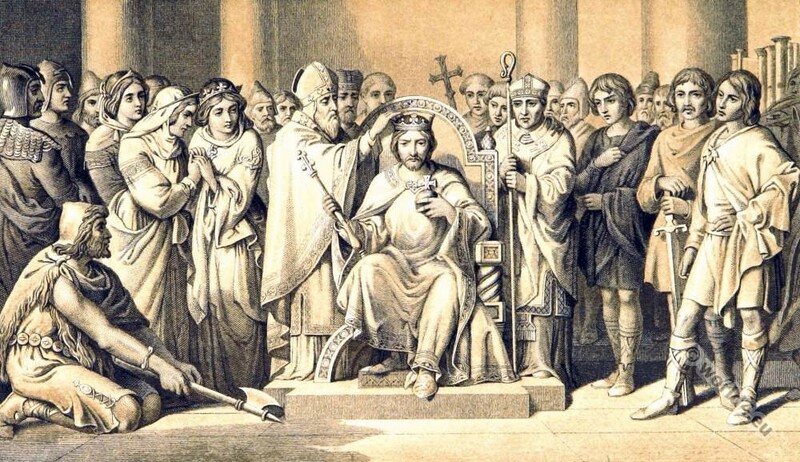 The Normans declared that he bequeathed the kingdom to the duke, the Saxons were ready to swear that he had told the chiefs and churchmen that no one was so worthy of the crown as the great son of Godwin; and as after all the choice of a king had to be confirmed by the Witenagemot or Great Council of the nation, the will of the sovereign was not paramount. That will, if it ever existed, was never produced, and after Edward’s death, on the eve of Epiphany, Harold was proclaimed king in a vast assembly of chiefs, and nobles, and the citizens of London, almost as soon as the body of the late monarch was deposited in the tomb in Westminster Abbey, that magnificent building which he had lived to reconstruct and to complete. Only a few hours intervened between the two ceremonies of the funeral of the king and the coronation of his successor. It is said that Stigand, Archbishop of Canterbury, who in right of his office should have placed the crown on Harold’s head, had been suspended because of a quarrel with the court of Rome, and Alfred, Archbishop of York, took his place. 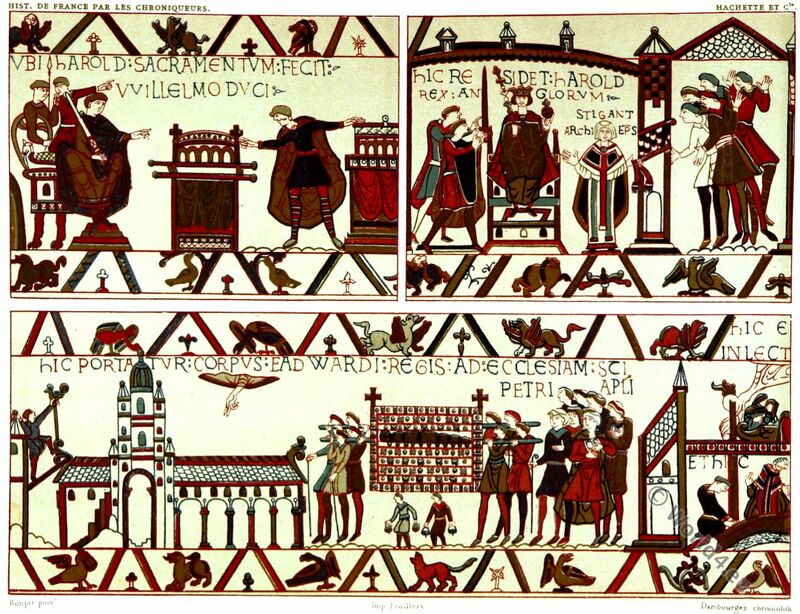 Other accounts have represented that the son of Godwin crowned himself, but there is grave reason to doubt this statement, not only because William of Poitiers, a contemporary writer, declares that the ceremony was performed by Stigand, but from the fact that in the representation of the scene in the Bayeux tapestry Harold appears seated on the throne with the archbishop standing on the left. St. Martin’s Abbey of the Place of Battle. 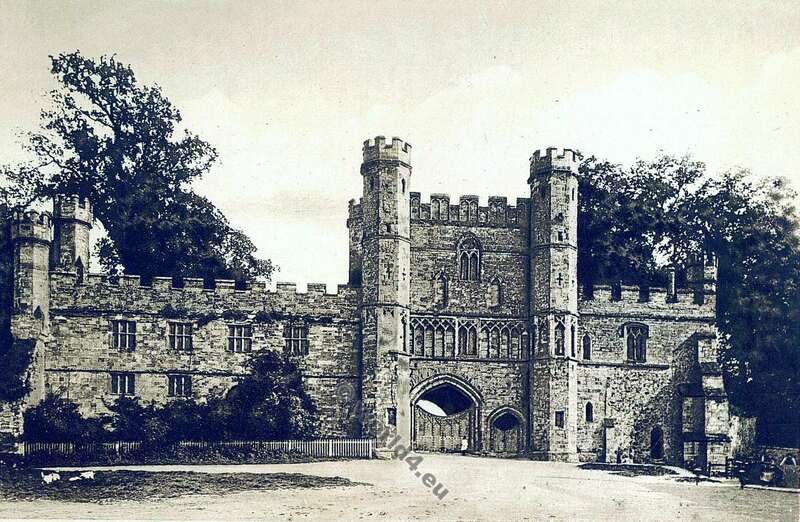 The monastery was built on the orders of William the Conqueror to the place where on October 14, 1066 the Battle of Hastings took place in order to remember the people who lost their lives in battle. HAROLD and WILLIAM the CONQUEROR. AFTER the death of Edward, Harold, notwithstanding his oath and engagements to be assisting in placing the duke of Normandy on the throne, caused himself to be crowned king. But he did not long enjoy the fruits of his perjury; for William, hearing of the death of the Confessor, came over into England with a great army, and landed at Hastings, where he was met by Harold, and a bloody battle ensued. 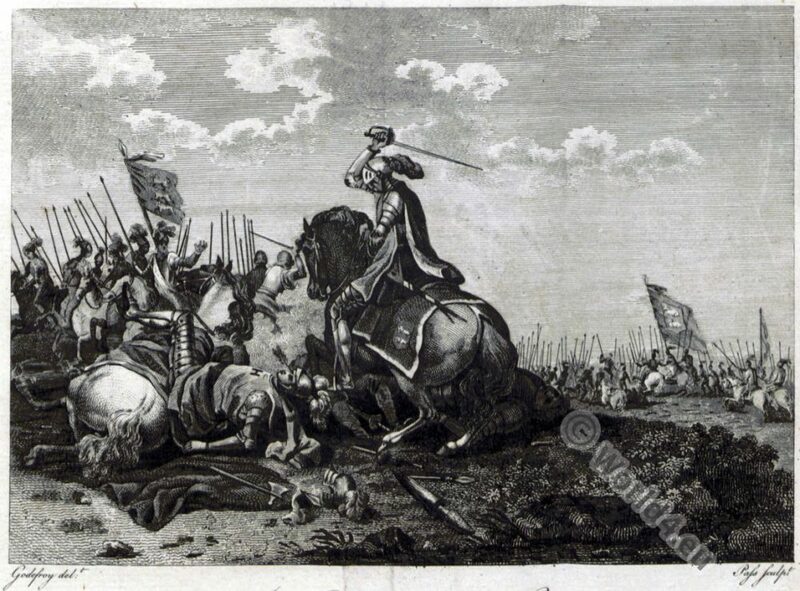 But the end proved unfortunate to Harold and his party; for he being (lain by an arrow which struck him in the eye, the field was loft, and the English were put to flight. The present plate represents that fatal action. On the right we see the Conqueror mounted on his horse, trapped with his arms; whilst, on the other side, the unfortunate Harold is falling from his horse, having just received his death’s wound. 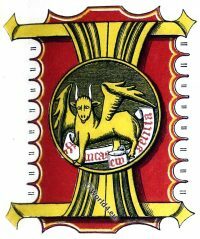 The illuminator, who lived in the reign of Edward the First, has not attended to the dress and customs of the times which he means, to represent; for the armour, cross bows, banners, &c. which are delineated in this piece, were used in the era in which he lived, but not at the time of the Conquest. This important battle was fought about nine miles from Hastings, in Sussex, upon the 14th day of October, being Saturday, the year of our Lord 1066. Source: Joseph Strutt. The regal and ecclesiastical antiquities of England: containing the representations of all the English monarchs from Edward the Confessor to Henry the Eighth : together with many of the great persons that were eminent under their several reigns: the whole carefully collected from ancient illuminated manuscripts. Published 1777. Europe in the time of Charles the Great 768 – 814. Historical atlas, Places. Knight in armor of the second crusade. 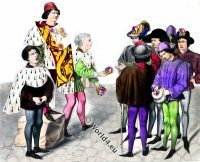 This entry was posted in 11th Century, Anglo-Saxon, England, Genre, Middle Ages, Military, Nobility and tagged English history, Medieval costume, milit, Pictures and Royal Portraits, Vikings on 5/6/15 by world4.